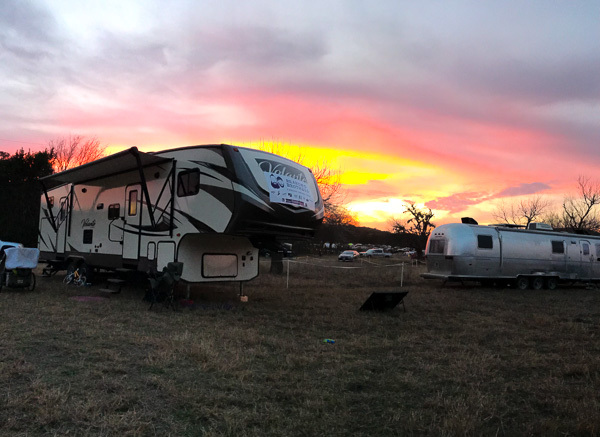 Boondocking during the Bandera 100k at Hill Country State Natural Area. Well, what can we say, life has been crazy. A lot has been going on in our lives, so we thought we would take some time to update you. Since our last update we had just returned from spending a couple months in Red River, New Mexico: and we absolutely loved it there. We definitely plan on going back sometime in the near future. Following our trip to New Mexico, we returned to Austin for a few weeks before hitting the road again and heading up to Virginia for Caleb to run the Grindstone 100. During that portion of the trip we also visited friends in Winchester, VA, and Chattanooga, TN on the way back to Texas. Over the entire summer we had traveled well over 5,500 miles. Since then though we had been nestled in our RV site in Austin, but a couple weeks ago we went to Hill Country State Natural Area for Caleb to run the Bandera 100k. 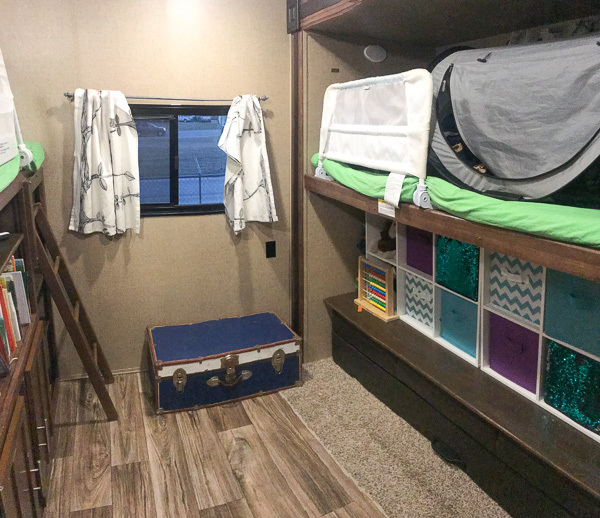 After that we spent a week on Kristy’s mom’s property and did some improvements to the RV. Pictures below. The past few months have been a whirlwind though. Caleb has been working hard on Bearded Brothers, and Kristy started up her own business as well that will set us up for future success when we start traveling more. The new business is an MLM opportunity selling Monat haircare products. We have also started attending a new Church, Grace and Peace, and have really been enjoying it. We also recently received news that our RV park has sold, and is under new ownership, and the current rumor is everybody has to be out by the end of the year. We aren’t sure if their plans are to do improvements, or just turn the property into another development, but either way we are excited about the new opportunities it will bring, and love the idea of not having to pay for a site in the park while we are gone. We will just find a new home upon returning from our summer travels. 2018 is certain to hold a lot of exciting things. Sometime in March or April we plan on taking another trip out to the Guadalupe Mountains. This time we pray that it will be problem free. We also plan on traveling this summer again as well. 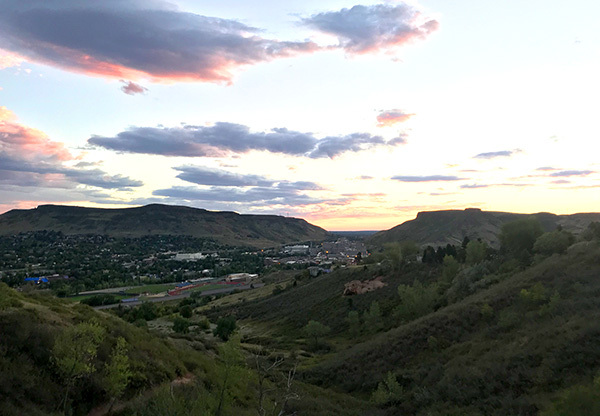 We will be in Durango, CO in July and Caleb will be volunteering for the Hard Rock 100, and will for sure be in Steamboat Springs area around September, 15: Caleb is running the Run Rabbit Run 100 miler. With the growth of both our businesses, and all the travel we are certainly in for a wild ride this year, but we are looking forward to it. What travel plans do you have in store for 2018? What big goals do you have? Comment below. 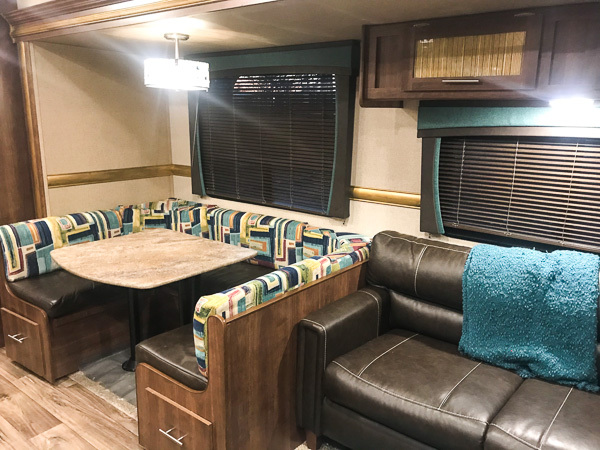 Covered the cushions in the dinette, added a splash of color on the valances as well. Also, notice the cabinets are painted gold from the inside (prior too they were translucent). Gold trim as well! Kids room. Added a chest for dress up cloths, put a “bench” over the fold out couch so we could place cubbies on top for more storage. Not pictured is extra shelving behind the ladder and on the existing book shelf/entertainment center. 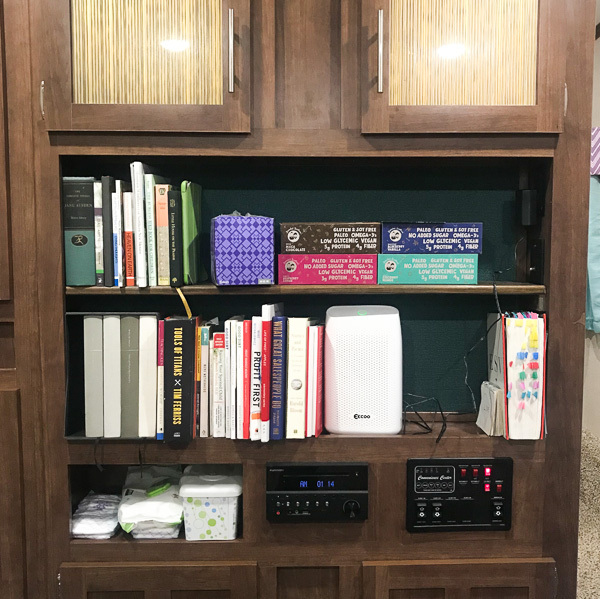 Since we don’t have a TV, we added an extra shelf into the entertainment center. We also added a splash of color in their as well. The gold cabinets can be seen here too. Chevrons in the bedroom! 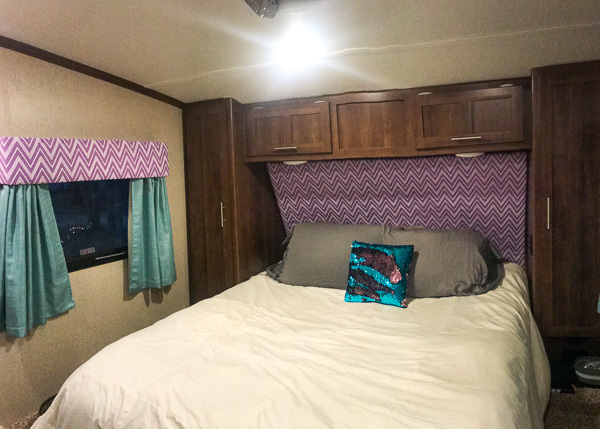 Added a “headboard” which is just a large piece of foam insulation covered with batting and fabric. Added valances and curtains as well. 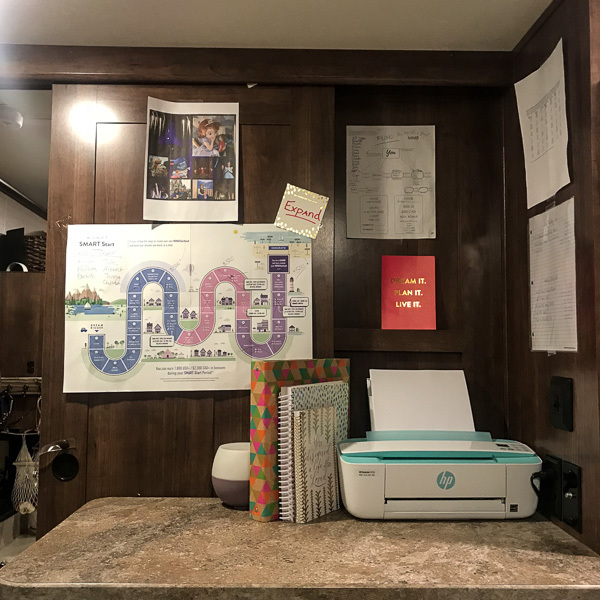 Kristy’s, “office.” And wall of inspiration. The inspiration piece for it all. Kristy found this piece of art at Goodwill years ago for just a few dollars. 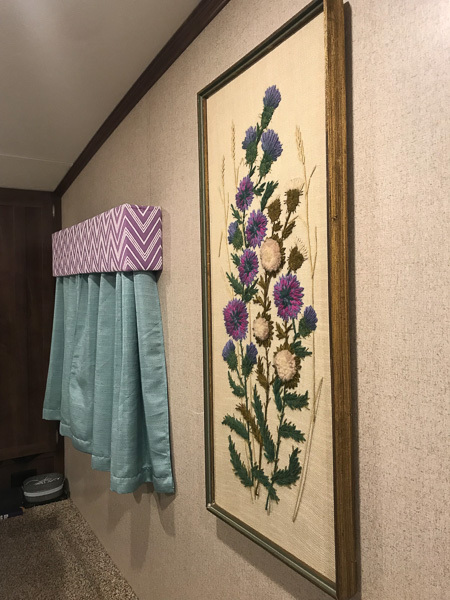 It also graced the walls of our first RV and was the inspiration for the updates we made in her as well. Thank you for sharing your journey! 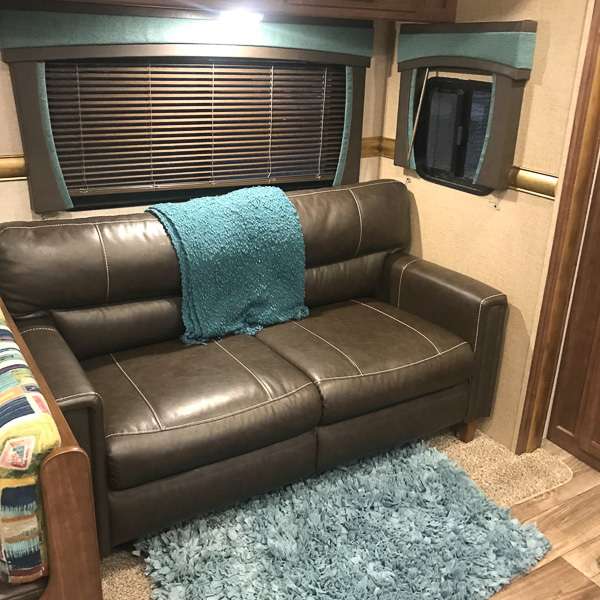 We are a family of four from Austin TX and plan to full time RV in a couple of months. I had some questions about the RV life in Texas. If you have sometime can we chat over email? Thank you! Would love to help out. You can email us at freedomintow AT gmail.com Do you guys plan on staying mostly in Austin, or hit the road?